Lighthouse Analytics Proud Sponsor of Mini Training Program! Parent company of ParStat, Lighthouse Analytics, is a proud sponsor of the NIFS mini training program! 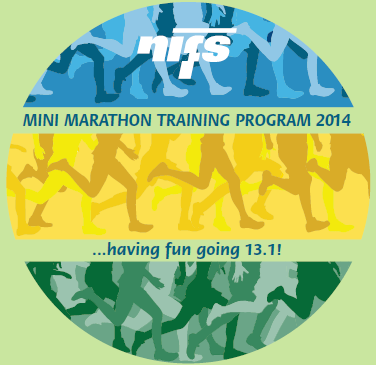 The NIFS mini marathon training program is geared at preparing runners for the USA's largest half marathon, the 2014 Indianapolis 500 Mini Marathon. Sign up here! Please email michael@parstat.com if you are interested in learning more about the product and/or a special discount! Changes On The Way for ParStat Golf Instructors! Big changes are on the way for ParStat Golf Instructors! Improving the Instructor Dashboard / Student Selection. Previously, it took 2-3 clicks to view your students' golf statistics. Recognizing that our instructors are far too busy to click something 2-3 times, students' ParStat golf statistics will be one click away from your instructor dashboard! Instructor Notes. We have been listening to feedback from our ParStat Golf Instructor community, and in the future, we will be implementing a beta version of a new Instructor Notes feature. This will allow instructors to keep notes on each student (previous drills assigned, last lesson's observations, etc...). As always, we are listening to our community and strive to make changes and improvements were practical. Please contact us if you have anything to share! You asked for it...it is here! We have upgraded the scores graph. Members can check it out in My Stats and/or the Golf Instruction menus. 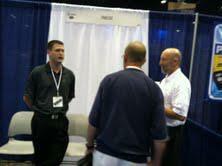 Thanks for a Successful PGA Show! ParStat will be showcasing it's product at the 2013 PGA Show in Orlando, FL from January 24-26, 2013 at the Orange County Convention Center! 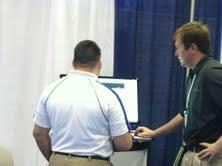 Click Here to see the location of our booth. 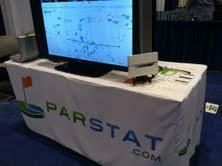 Also, if you are interested in setting up a demo or consultation, please email us at info@parstat.com. ParStat announced today plans to exhibit at the 60th PGA Merchandise Show, Jan. 24-26, 2013, in Orlando, Fla. “We’re very excited to launch our new site at one of the largest gatherings in the golf industry,” says Michael Greer, Co-Founder of ParStat.com. The site utilizes gofers’ playing data to output a customized improvement plan for each user’s game, taking golf statistics a step beyond simple score averages and trends. “We’ll analyze the data and tell you where your practice time can be most effectively spent,” says Brad Actis, Co-Founder. Though just released this year, ParStat has already received positive feedback from beta testers at national golf schools. The website offers memberships for both individual users and golf instructors. From Thursday, Jan. 24 to Saturday, Jan. 26, ParStat will exhibit on the show floor within the equipment hall at booth 2617 at the Orange County Convention Center. About the PGA Merchandise Show: Since its inception in 1954, the PGA Merchandise Show has become the world’s most influential golf trade show and the global summit for the business of golf. In January 2013, the PGA Merchandise Show will once again welcome more than 40,000 industry professionals from some 75 countries to uncover the latest trends, source the newest golf merchandise, test the latest equipment, enhance careers, learn proven business best practices, network among peers and grow the business of the game. Nearly 1,000 golf companies and brands, representing every business sector of golf from market leaders to start-up companies, will display and demonstrate hundreds of thousands of golf merchandise that will appear in golf shops and retail stores throughout the 2013 golf season. For more information, visit www.pgashow.com. The PGA Merchandise Show and PGA Expo are organized in partnership with The PGA of America. ParStat is a golf statistics website designed to drive data-driven improvement to your golf game! New to ParStat Golf Statistics? Interested in Joining?